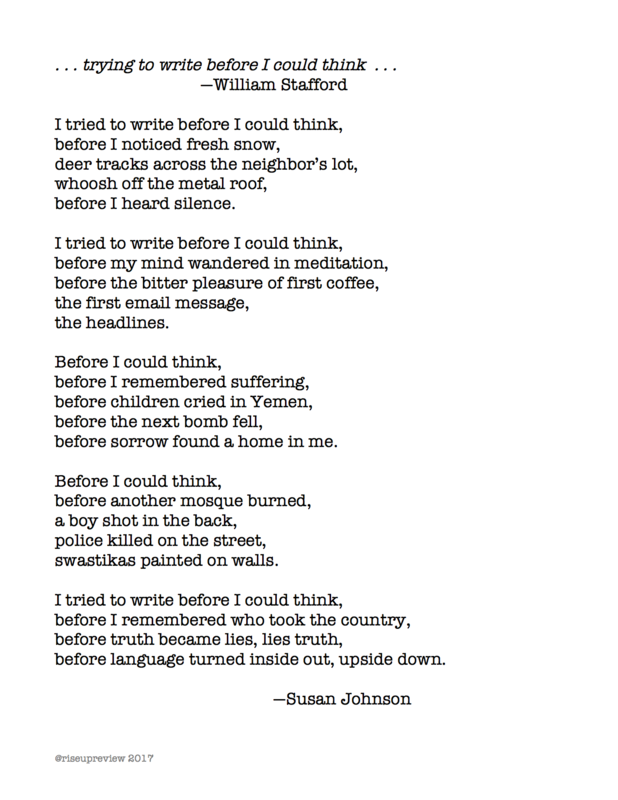 Susan Johnson spent her teaching career sharing her commitment to the power of language. Retired from the profession, she now has the opportunity to give more time to her poetry in a dedicated writing community in Roslyn, Washington. Her work has been included in Poets Unite! The LiTFUSE @10 Anthology and the Yakima Coffee House Poets Contest Chapbook Twenty-Second.